Anyone of a certain age listened to American Top 40, the weekly countdown of the biggest hits across the land, hosted by Casey Kasem. It was an honor for any song to be included in the top 100. Immanuel has a place in another kind of top forty list, one in which it is an honor to be included. There are nearly 10,000 congregations in the Evangelical Lutheran Church in America (ELCA). 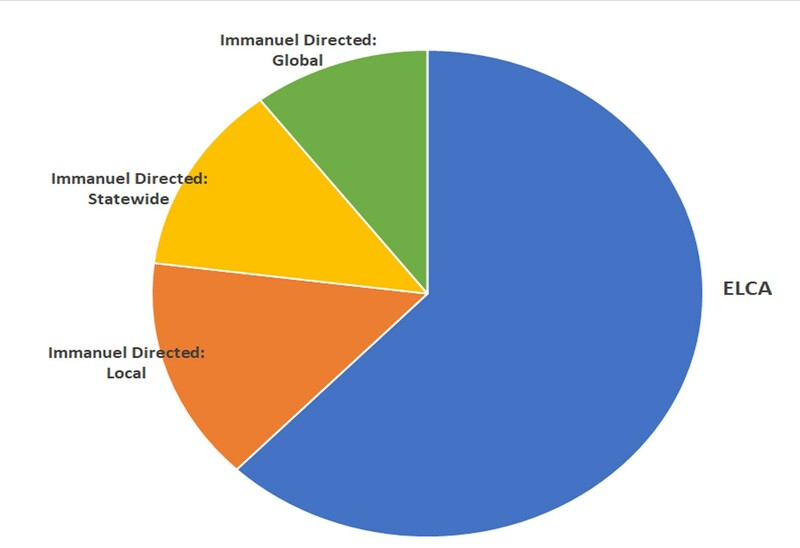 Immanuel is in the top 40 congregations in total dollars given to benevolence from general fund giving, and in percentage of benevolence giving related to general budget. In 2017 Immanuel members were faithful and generous in giving $1,246,000 in offering to the general fund. Of this total, Immanuel gave away over $230,000 to support the ELCA and local partner ministries like Lutheran Social Service, PROP, Redeemer Center for Life, and many more. This does not include the $100,000 given to the new local young adult housing project, Onward Eden Prairie (formerly Haven House), through our Opening Doors Capital Campaign. Immanuel is a leader in benevolence giving, and we serve as an inspiration to other congregations to grow their benevolence. Thank you for your faithful and generous giving that makes this possible. In 2018 Immanuel is committed to growing our benevolence giving to over 19% of budget, up from 18% the past two years. God has blessed our church and community, let’s continue to pass on these blessings through our continued faithful and generous giving!